Qivana is the world leader in bringing break-through natural products to market. Qivana partners exclusively with top doctors and research scientists to only bring the best and most innovative natural products to market. 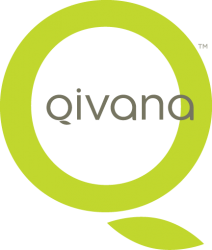 This powerful approach to health has made Qivana a leader in the multi-billion dollar health and wellness industry. Millions of people are searching for a way to look and feel younger. By offering only the best in natural product breakthroughs, Qivana empowers people to grow a successful and sustainable business by leveraging what Qivana has built.